While there are many HTML editors that claim to be WYSIWYG in style, my early experience of many of them proved to be frustrating as the primary method of developing content. In this respect, a conventional WYSIWYG editor, such as Microsoft Word, was preferred from which other useful formats could also be generated. However, using Microsoft Word to produce usable HMTL code is not without its own set of problems. In the current context, we are potentially talking about the development of content in the form of text, audio, images, animations and videos. In principle, Microsoft Word can handle all these formats, within a single document, with all the perceived advantages that you would expect from an established product, while supporting a large range of output formats including HTML. However, the format of the Microsoft HTML file is problematic when requiring a clear separation of the data content from its formatting, which is a goal of Cascading Style Sheets (CSS). While the Hyper Text Markup Language (HTML) is not a programming language, its development parallels some of the ideas embodied in object-orientated design in that data/content is separated from the code/formatting. The example above is representative of a HTML page at a very basic level, where <html> and </html> defines the scope of the web page in which <head> and </head> contains instructions and information associated with the page. The main content of the page is then encoded between <body> and </body> using numerous HTML <tags> that helps define how the content should be displayed, e.g. Again, the example above is only representative of just a few basic HTML formatting <tags> that can be extended to include the definition of lists, tables, images and the all important hyperlinks to other webpages. However, over time, the number of HTML <tags> continued to expand to meet the ever-growing sophistication of end-user devices. But what has this to do with developing content? OK, but again, how does this affect the selection of a content editor? As previously indicated, the development of HTML and CSS led to a partial separation of data content and the formatting information. Therefore, web developers needed to keep a tighter control over what goes into the CSS files, as opposed to the main HTML file. In essence, much of the formatting of the data content, which was originally contained within the HTML file, is now defined in external CSS files, which can address the capabilities of different devices. In this respect, Microsoft Word is not very supportive of its role as a general-purpose content editor, even though it supports the creation of a HTML file. For example if you open a WORD file and type a few characters and then 'Save As' a filtered web page and then examine the actual contents of the HTML output file using a plain text editor, such as Notepad, you will find that the <head> section contains a myriad of style definitions along with the excessive use of verbose class definitions within the main <body> section. In addition, the HTML output file, as created by Microsoft, appears to be designed to offer maximum compatibility towards its own Internet Explorer browser and not its competitors. So why not use a purpose built HTML editor? It is recognised that this approach might appear overly complicated, but was driven by the desire to first develop the content in a recognised document format, which could then be used to created various formats, not just HTML. While there are many who do not like the dominance of Microsoft, the simple fact is that Microsoft Office has become a de-facto standard that is used by something like 500 million users worldwide. This number can be extended by those who prefer to use OpenOffice. As such, the WORD document format has proved to be reasonably future-proof to advances in technology over the last 20 years. However, it would be nice if somebody from Microsoft would consider adding a 'Save As' option that actually created a stripped out HTML file that only contained the most basic HTML tags with no additional class definitions. In a generic sense, a text-based book is content. However, electronic or e-content can be traced back to the start of the Internet in the late 1950's. However, the web in its present form did not really start to emerge until the 1990's following the development of HTML. As such, it was the use of hypertext, hyperlinks and the page-based model of sharing information, as supported by the early browsers, which would come to define the idea of web content. Today, the web has grown to contain over 8 billion pages of content. This huge base of information could be said to represent the sum total of all human knowledge, trivia and banality. As will be expanded, web content is now defined in terms of various syntax within a web page. 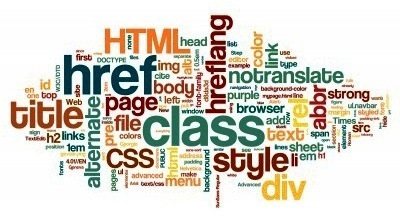 However, the page structure is dominate and defined by the HTML language. While there are now additional and proprietary methods in use, most web pages still adherent to the core set of ideas being outlined. Much of the content of the web is now multimedia in the sense that it encompasses, not only text and images, but audio-video and real-time applications. Of course, at the end of day, the sophistication of the technology does not guarantee sophisticated content; although this may also be a matter of taste!